New York Judge to Copyright Trolls: Get Real! There’s really nothing much to add to Judge Gary R. Brown’s ruling in the Eastern District of New York. His ruling against an “avalanche” of John Doe lawsuits filed by a pornographer who admitted to a 30% “false positive” result but nonetheless used aggressive (the judge said abusive) collection tactics to try to force defendants into settling for thousands of dollars each when accused of illegal downloads. You can read the details here, on the Fight Copyright Trolls blog — which also links to other media coverage of the story. Don’t forget, however, that even as judges try to reign in these lawsuits, copyright infringement remains a serious issue. 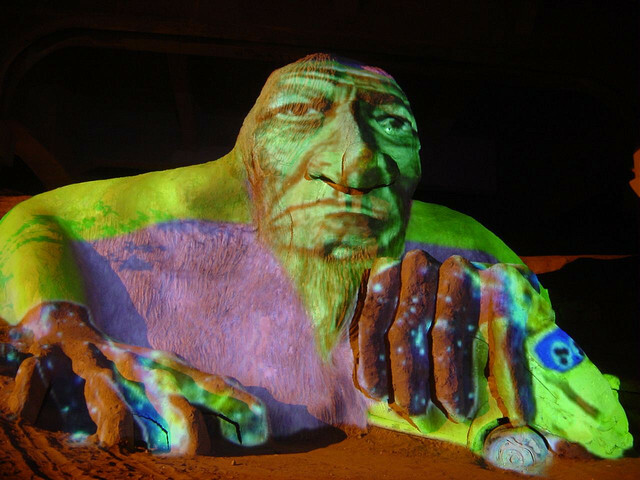 Photo credit: This photo of a cave troll statue in Washington State is available via Creative Commons license from Flickr. Gallery | This entry was posted in Law, Marketing, Social Media and tagged avoiding copyright infringement lawsuits, BitTorrent, Copyright, copyright infringement, copyright troll, Deb McAlister-Holland, illegal downloading, law, legal. Bookmark the permalink. 1 Response to New York Judge to Copyright Trolls: Get Real!